The driving licence system in South African went through an overhaul in 1998 from the old system to the new system. While there have been tweaks to the system over the years, for the majority it’s stayed the same. Here’s a quick summary of the current system, with equivalent codes from the old system. When the new system was implemented, everyone who had an old licence of the form Code 8, Code 12 etc. was given an equivalent licence in the new letter format, eg. B, EC etc. To this day people still often refer to having a code 12 licence, although the system is not used in practice. A Heavy motor vehicle is considered any vehicle with a GVM over 3,500kg (3.5 tons), and a light motor vehicle anything below. There was talk 2 years ago about combining learners licences so as not to require people who already have a licence to rewrite their learner’s licence, but this was never passed. 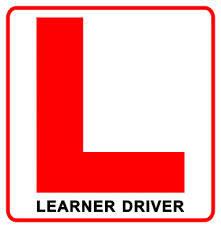 Currently a Learner’s Licence is valid for 2 years. Once you have a learner’s licence for a vehicle, you are free to drive that vehicle as long as there is a driver licenced for that vehicle in the passenger seat with you. You may drive on freeways, and have additional passengers. If you want to get your Driver’s Licence, you must apply so that your test occurs before your learner’s licence expires. If you have a learner’s licence for a motorcycle, you may drive by yourself (I’ve also heard you’re not allowed passengers, unsure). You may only apply for a Code 2 Learner’s Licence if you are over the age of 17. For a Code 1 licence you may apply when you are 16 (limited to 125cc). I have heard that you must be 18 before applying for a Code 3 learner’s licence. For motorcycles there are two licences available. An A, and a A1 licence. An A1 licence you may hold from the age of 17, and is limited to motorcycles with an engine capacity of 125cc or less. You may only get an A licence once you turn 18, and permits you to drive any motorcycle. Light motor vehicles have two classes. Either a B (old code 7) or an EB (old code 8). The B licence is the standard driver’s licence that most people get. It allows you to drive any Light Motor Vehicle and tow a trailer with a GVM less than 750kg. An EB licence is for the same class of vehicles, but allows you to tow trailers in excess of GVM 750kg. Most people who did their driver’s licence before 1998 were automatically upgraded to an EB licence, whereas most new drivers have only a B licence. This limits one from towing certain caravans and boats which can have GVMs higher than 750kg. You must be 18 years old before you take the test for an LMV licence. Heavy Motor vehicles have four classes. A code C1 (former code 10) which is for vehicles with a GVM between 3.5 and 16 tons and a code C which is for vehicles with a GVM over 16 tons. Drivers with a code C1 licence are permitted to drive vehicles of class B. Drivers with a code C may drive vehicles covered by both the C1 and B codes. A code EC1 licence holds the same rights as a C1 licence, but with the inclusion of trailers with a GVM in excess of 750 kg. Likewise an EC licence permits the driver to drive vehicles covered by a C licence with a trailer of GVM in excess of 750kg. The holder of an EC licence, in addition to vehicles covered by a C licence, may also drive EC1 vehicles. In 2010 reports were issued that drivers who obtained a Heavy Duty Vehicle Licence after January 2011 would not be permitted to drive light motor vehicles. This law was never passed. To obtain a driver’s licence, you must hold the appropriate learner’s licence and do a practical test for driving that vehicle. The test comprises of a yard test (inclined start and alley docking. Additional three point turn and parallel parking for LMV and additional straight reverse for HMVs). As well as an on the road test, generally along preset routes in general traffic. For each of these you must follow practices specified by the K53 defensive driving system, which has many critics. It is advised that anyone attempting to pass a driving test in South Africa first go for driving lessons with an accredited driving school. A South African Driver’s Licence must be renewed every 5 years. Anyone who wants to drive a motor vehicle for reward (taxi, deliveryman etc.) or anyone driving a Goods Vehicle, or Vehicle able to transport more than 11 people must hold a Professional Driver’s Permit. See my article here for more information. A standard PrDP licence is valid for 2 years. It is possible to hold a licence which is valid for both an LMV or HMV as well as a motorcycle. You will be issued with one card which displays the separate restrictions, dates etc. for each. Whatever vehicle you do your licence in will be the vehicle that you are given a licence for. If you drive an automatic vehicle, you will not be permitted to drive manual vehicles. Whenever you renew your driver’s licence you will be required to do an eye test, this test will dictate whether you are required to drive a vehicle with or without glasses. A South African Driver’s licence is in the shape of a credit card. Pre-1998, driver’s licences were included in your ID book. Go here to view a table comparing the old and the current driver’s licence codes. Most of the information here I posted from memory. While every effort has been made to ensure accuracy, if uncertain, please contact your local Traffic Department for assistance. Source: General Knowledge and the National Road Traffic Act. This entry was posted in info and tagged HMV, Learner's Licence, LMV, PDP, PrDP, South African Driving Licence by Gareth. Bookmark the permalink. Hey Nosi, sorry to hear that. Although the questions can be tricky, the tests are relatively straightforward. All I can recommend is studying the rules and taking your time during the test to make sure you understand the questions. Hi, I booked today and I booked code 3 thinking its code 10,,now somebody is telling me that code 3 is code 14 not code 10..how true is that? a code 3 learner’s licence is for any heavy duty vehicle, which includes both code 10 and code 14 driver’s licences. Can I pass out code 14 even if I don’t have license for code 8? I have code 10 learners and i want to pass out with code 8 but i was told i can only book for code 10 licence test. When i wrote my learners the driving school instructor told me i can have code 10 learners and pass out my drivers with either code 8 or 10. As such you should be able pass out with a code 8 vehicle. my name is Luca Bitittelli, I am cont­acting you from Italy to get some inform­ation. I will soon start for a long period of volunteering at an animal rehabilition center close to Pha­laborwa. – get a Traffic Register Number (TRNs­)? – submit the appl­ication for the exam­inations for the PrD­P. It seems like there is a Licensing Department in Phalaborwa. I’m sorry, I don’t know the answer to your question. You can try phoning the traffic department to get a definitive answer. I would be surprised if they let you have your code 10 again without redoing your learners and drivers licence tests again in full. Unfortunately you have to have an A or A1 licence to drive a motor cycle. IF you never went for your smart card licence and still have your id with the licence in. Is to late to apply for the card must you do the learners and drivers test again. Asking for a friend. I don’t believe you can, unless you can show that you were unable to renew your drivers licence during the allotted period, for example, you’ve been out of the country. I can’t find the specific legislation, so you may want to confirm this with the Traffic Department. You would most likely have to redo your learner’s and driver’s licence. I have a code 10 license and want to do code 14. Do I have to redo my learners test again? Unfortunately yes, you have to redo your learner’s licence. Hello, I hold a code 8 but want to upgrade to code 10, do I need to redo both the written for the learners and the practical or is there another way to go from 8 to 10? Unfortunately yes, you need to redo both your learner’s and practical licences.